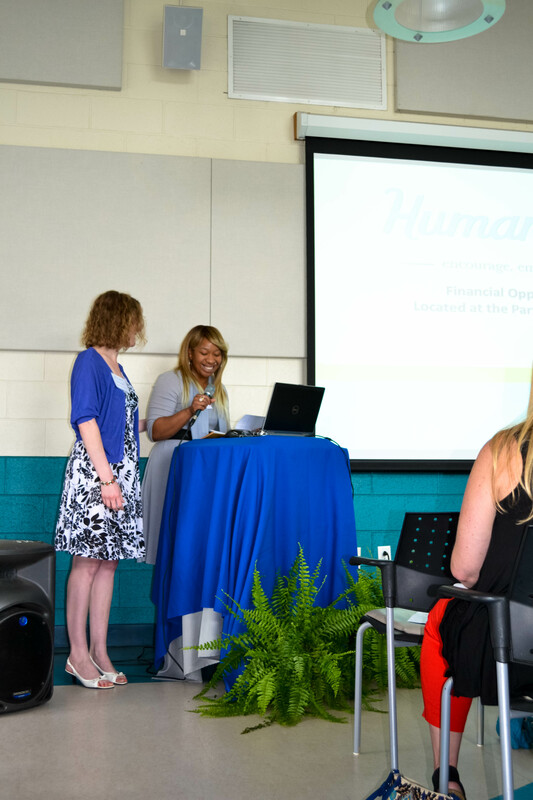 “We in this room know that solutions don’t happen in isolation,” said Bob Dendy, CEO of HumanKind, at the public launch of HumanKind’s Financial Opportunity Center (FOC) at Partnership for Families – which is offering counseling, training, and mentoring in job placement, career improvement, financial coaching, and public benefits to low-to-moderate income individuals in the Northside of Richmond, and beyond. Launched this March, the Center, which is part of a national network of FOCs, is the result of a revitalization process that Virginia LISC has been conducting in the Northside for the past two years. With 23 percent of Northside residents living below the poverty line, compared to the Richmond Metropolitan Area’s 10 percent*, services such as the FOC are needed to help reverse this trend. Participants, who hear about the Center from HumanKind’s growing network of partners, benefit from screening to determine public benefits eligibility, learn about their credit score and wealth building, and receive job search coaching, among many other services. 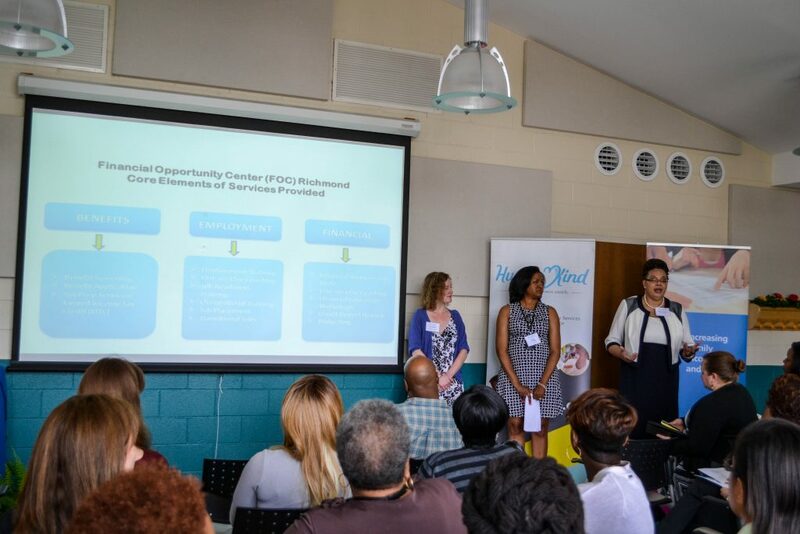 Wells Fargo, City of Richmond Workforce Innovation, Resource Workforce, Goodwill Employment Center, and more, are some of the FOC’s collaborative partners. “We believe that the more services that are integrated, the best chance of success for our participants, and there is data to support this,” said Shanika McClelland, Site Manager with HumanKind. A 2015 LISC report shows that the FOC model is working – of the individuals who accessed the integrated set of services at FOCs, 74 percent found jobs, 78 percent remained in those jobs, and 76 percent increased their incomes. A goal of the FOC is to foster long-term relationships with individuals, rather than provide a single service one time. Though the program is still in its infancy, 52 participants have already been enrolled, and HumanKind is actively working to enroll 100 clients by the end of 2016. 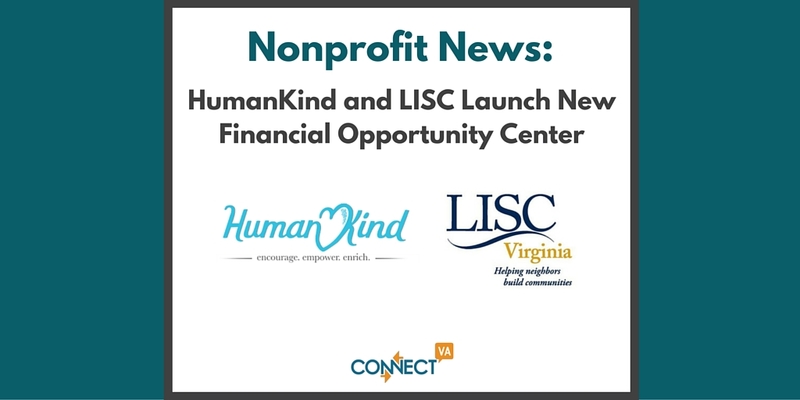 Virginia LISC staff selected HumanKind as their partner to operate the FOC on the Northside. In addition to continued support from Virginia LISC, the Virginia Nonprofit Housing Coalition, SunTrust and the Robins Foundation have provided initial support. The mission of Virginia LISC is to serve as a “catalyst for neighborhood and resident inspired transformation,” by providing grants, working capital, development funds, and technical support for nonprofit developers and localities. “The FOC is an important strategy for the Northside with a key partner and a resident focus to improve family financial stability. 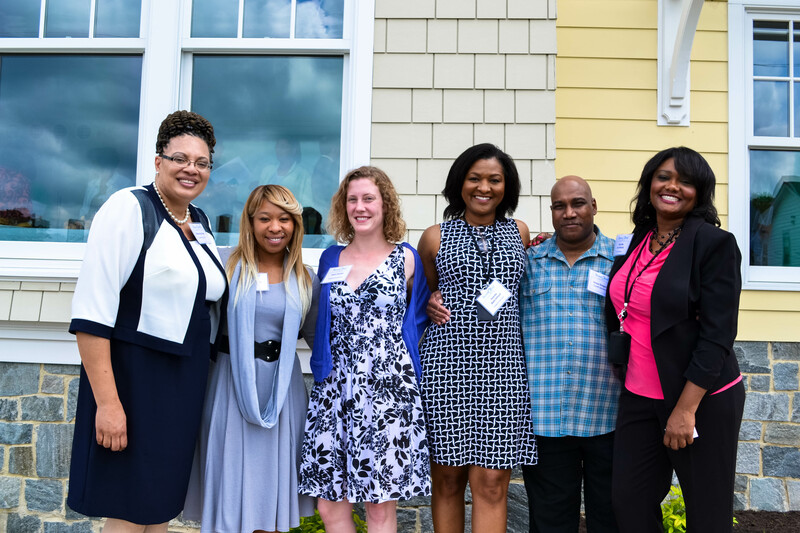 Improving employment prospects and family incomes will help to revitalize the neighborhood,” said Candice Streett, Executive Director of Virginia LISC. 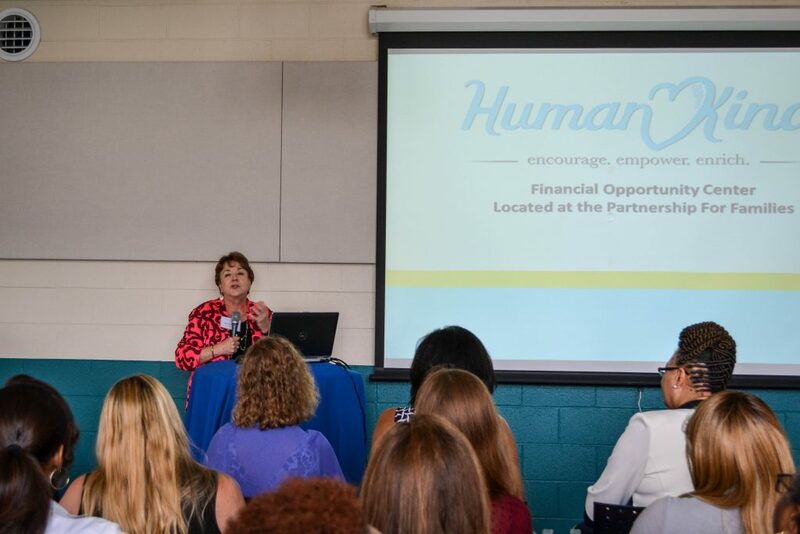 HumanKind is a state-wide nonprofit offering services in five focus areas; Economic Empowerment, Early Childhood Development, Mental Health Services, Residential Care, and Safe and Healthy Living. The Northside FOC is located at the Partnership for Families at 800 West Graham Road in Richmond. All services are free and open to all residents of Richmond and surrounding areas. Hours of operation are primarily Monday through Friday during the day, with some evening and weekend availability for working professionals. Individuals and agencies wishing to learn more may contact Shanika McClelland at 804-888-8226. Pictured from Left to Right: Gloria Parham, Benefits Specialist; Angela Douglas, FOC Participant; Laura Sinclair, Employment Specialist; Yolanda Davis-Hilliard, Financial Specialist; Vince Gregory, FOC Participant; Shanika McClelland, Manager-Ways to Work Richmond and Financial Opportunity Center. Photo Credit: Ashleigh Karol, HumanKind. “We believe HumanKind is a strong partner and that this FOC will exceed expectations in helping families address barriers to financial stability. They are on target to meet the goal of serving 100 households by the end of 2016,” said Streett. Does your organization have a great story to tell or working towards collaboration for greater good in Greater Richmond? Let us know and we might just cover it in our Nonprofit News segment. E-mail info@connectva.org.